A new ship we may have permission to use. Please discuss it's uses, concept and design. We'd like to know where it would fit in. I'd say battle carrier. May sound strange but I think that this'll either be a VERY powerful Battleship or a VERY powerful carrier. I'd say none, it is not in Vaygr style at all. While i see questionable Vaygr PD (Guardian) platform as well. They have Vertical oriented ships, so it would be best to keep that in that way. Some large production capital. But this is 100% not a vaygr-styled ship. Just saying that it's a ship designed by relic, which was in the end not included in the official release. The model is based on artworks. Nakamura wrote: Just saying that it's a ship designed by relic, which was in the end not included in the official release. The model is based on artworks. Yup, and they did right by not adding this as Vaygr ship. They could've made a whole mission out of this, though. Which, imo, would look and/or be awesome. I think it would only fit as a large carrier. Perhaps they had this in mind when the concept artwork was being done. Question is, do we need to use it — i think it has a role alright — but we should avoid falling into the trap of adding it as eye candy! We can cancel the addition at any time. It doesn't "have to be done". The option is there, however. 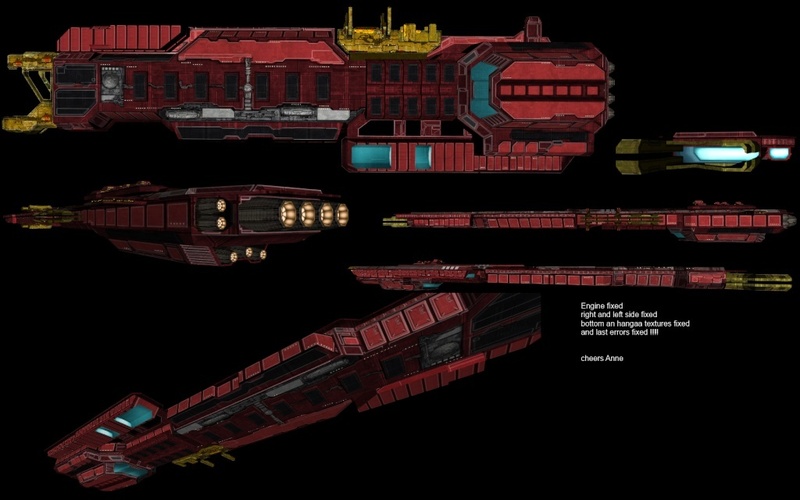 how a ship like this fits in an PVP game or PvsCPu i don't know i can't deciphere the bigness of the ship, like i think its bigger then a Vayger battlecruiser ( the one with the Trinity cannon ) but i need more info on that..
edit:My apolagies i didn't see when the last post was posted have to reread the posting rules ..